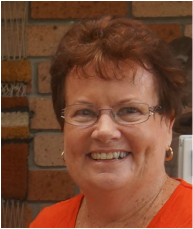 While I gave a brief introduction on the home page, for those interested, I thought I would share a little more about myself and my quilting history. My introduction to sewing came about not long after leaving home and moving to Canberra to work. Being on a tight budget, and new to working I needed more clothes than I could afford to buy, so invested in a sewing machine and, with the guidance of my soon to be mother in law, started sewing my own clothes. When the children arrived, I discovered KnitWit and made not only my own clothes but all my children's clothes as well. I even worked and taught in the local KnitWit store and I think this is when my addiction to collecting beautiful fabrics began. On moving back to the Illawarra, while looking for appliqué patterns for Tshirts, which were all the rage at the time, I discovered quilting magazines and found my way to Country Patchwork in West Wollongong. Great tuition from Joy Dixon saw numerous quilts produced and a couple complete with hand quilting found their way onto the beds. Unfortunately more remained unfinished. A change in focus as I became interested in other crafts/interests - doll making, jewellery making, cross stitch, tapestry, image and style consulting and classes in the Palmer Pletsch method of pattern alteration. Eventually though quilting came to the fore again and to ensure completion, I purchased my first frame and wide throat machine. When I retired from work in 2011 - after finally getting the opportunity to throughly clean the house - I was at last able to attack some of the mountainous supply of fabric I had accumulated over the years. Having worked for so long though I was struggling with not having a reason to get up each day. After much deliberation, I decided there was a market in the Illawarra for another long arm quilter, so purchased Ruby. I now look forward each day to creating something beautiful. Mostly though it's the joy on the customer's face when they pick up their quilted project that really makes my day. If you need any information, please, drop me a line.